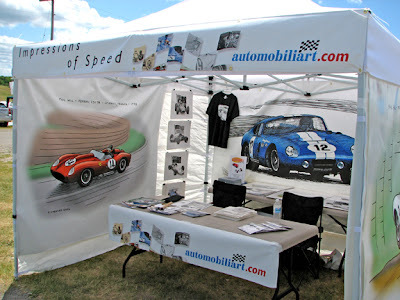 This is the 10'x 10' booth setup I had had the VARAC Vintage Racing Festival at Mosport, Ontario in June of 2007. 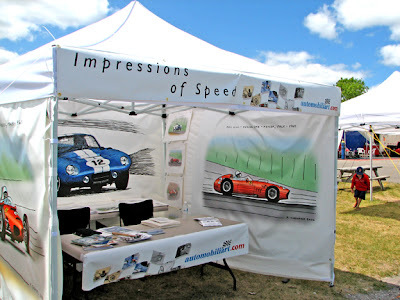 It was great to have giant 8'x 6' colour vinyl outputs of my illustrations, thanks to Mike Kelly of Precision Digital of Halifax (www.precisionatlantic.com). Amazing colour!